In the United States, car accidents are the number-one cause of death among children ages 4 to 12 and the number-two cause of death among children ages 1 to 4. 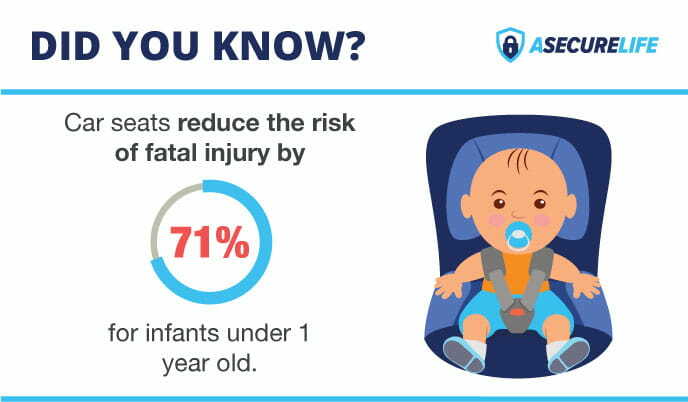 Studies done by the National Highway Traffic Safety Administration (NHSTA) and American Academy of Pediatrics (AAP), among other organizations, show that the best way to decrease the risk of injury and death for children is to properly install and use the appropriate car seat for your child. 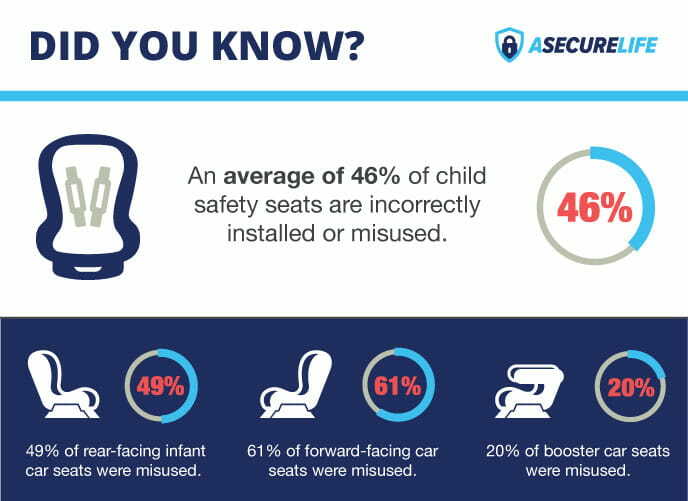 We’ve gathered the facts and stats to give you some insight into just how crucial it is to have the correct car seat installed properly. The chances that your child will be in a car accident at some point are pretty high, and understanding how car seat safety can affect the outcome of an accident is eye-opening. When car seats and booster seats are installed correctly and used according to the recommended guidelines, they can prevent injury and even save the lives of your kids. The AAP advises parents to keep their children in rear-facing car seats until the age of 2 or until the child reaches the height/weight limits for the car seat. Children should also ride using a booster seat until they have reached 4 feet 9 inches and are between the ages of 8 and 12. The bottom line is that the chance of preventing a tragic outcome to a traffic accident significantly increases when you use a car seat and do so correctly. Always check the manufacturer’s height and weight recommendations for your car seat as well as the installation instructions and follow all of these guidelines. If you are a new or expecting parent, check out our car seat safety guide and top recommendations for buying a car seat. Above all, simply be proactive about securing your children every time they are in the car. Don’t wait to be sure that your child is safe! Search below for some of our top rated car seats (can’t see your search and product options? Add ASecureLife to your ad blocker exceptions).